Change the way you look at veggie scraps generated in your kitchen ... a great resource and not a discard ... and start composting your kitchen waste. Approximately, 60% of the waste that we send to the landfill is biodegradable; can be dealt with at source and recycled back to earth. Each kitchen generates some kitchen waste. An opportunity exists in every home to contribute to a green environment and protect it for our future generations. Many of us have begun composting with all green intentions at heart and then given up halfway, due to not being able to deal with few problems associated with the process - offensive smell, fruit flies, worms, compost becoming yucky with leaked leachate staining floors, to name a few. We at Urban Leaves, have worked on simplifying the process for homes.The method endeavours at imitating nature; uses naturally available material and does not use bio-enzymes or worms. If followed to the detail, it promises to fill your senses and your soul with the divine fragrance of rich, earthy compost that will pamper your plants. 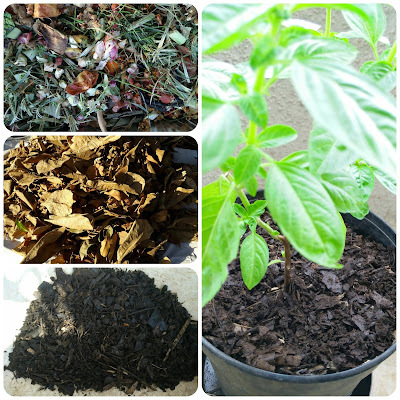 Urban Leaves presents a Compost-Your-Kitchen-Waste Workshop where you will learn the theory and practicals of composting with a low-cost kit that can be put together at home. Sunday, 13th November, 2016 - 9:00 AM TO 12:30 PM.